Teachers, Students, Administrators, Professors, Club Sponsors, Makers, etc. 1. Your story about learning. 2. A passion to share your story through text and and physical art..
3. 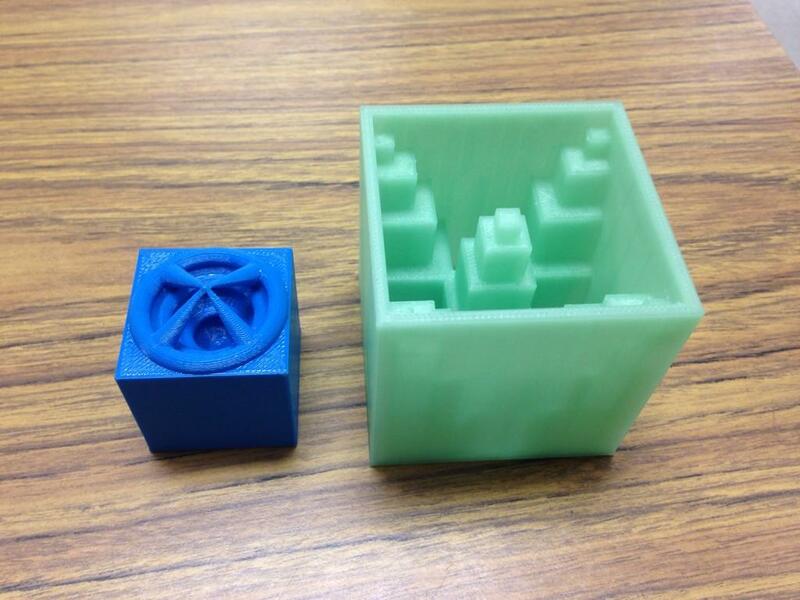 A cube-shaped object that you designed and 3D printed (or laser cut and etched). We know your students are creating, designing and dreaming up wonderful ideas every day in and outside of your school walls. We would love for them to inspire others by sharing these stories. Maybe their story is about the first time a student connected with someone across the world. Or when they designed something that addressed a social need in their community. You may have a group of high school students that inspired elementary students to become digital leaders. Or ask a student to reflect on their journey to becoming a published author. No story is too small or dream too big to share. All students need to do is type/write/doodle or sketch their story and mail it to us along with their cube. Now that the story has been written, we want students to design a cube that represents their story in some way. We'd like to have cubes so they can be stacked together to make something beautiful. HOWEVER, you don't have to stick to the cube format. DISCLAIMER: All cubes become part of this global art collaborative and will not be returned.